Learning about the home remedies for effectively treating this condition is very important because pink eye is so contagious that not treating it could have disastrous consequences. This article will explain the condition and offer some home remedies that have proven to work time and time again. Some of these include vegetable juices, Indian gooseberry, chamomile, potato, coriander and honey. 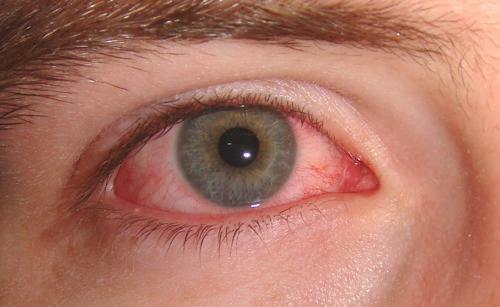 If you constantly have itchy eyes, it may a condition known as pink eye or conjunctivitis. This is a highly contagious disease and spreads very easily so it’s very beneficial to learn about the home remedies for it. It is preferable for those suffering from the condition to stay indoors but people who have to go outside should wear dark glasses. Sometimes it is a funny sight to see the odd person wearing sunglasses while working in his office. But pink eye is no funny business. 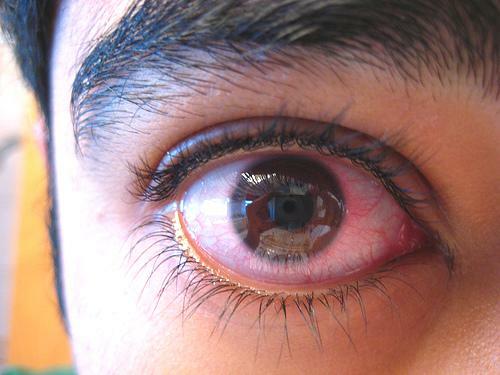 Pink eye is an inflammation of the conjunctiva, the membrane covering the white of the eye and inside of the eyelids. In medical terms, pink eye is known as conjunctivitis. The inflammation of the conjunctiva leads to redness of the eyes, itchy eyes, watering eyes and pain in the eyes. The most common cause for the pink eye is viral infection of the conjunctiva, an infection caused by several groups of common respiratory viruses. 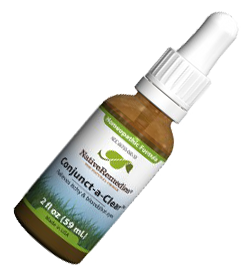 The conjunctivitis is also caused due to bacterial infection, allergic reaction and chemical or physical exposure. One of its giveaway symptoms is the eye turning red and increased irritation and itchy eyes. It can affect both adults and children alike. When an adult or child is suffering from pink eye, they need to keep in mind certain things like not wearing lenses. People need to use their glasses. Wash your eyes continuously and with clean hands. One of the major factors that contribute to the spreading of conjunctivitis is the fact that people do not maintain cleanliness. In addition, both adults and children who are suffering from pink eye should not venture outside their homes. In fact, tears keep conjunctivitis at bay as they drive the bacteria away with them. If someone has pink eye, then what steps should they take in order to not let it spread? 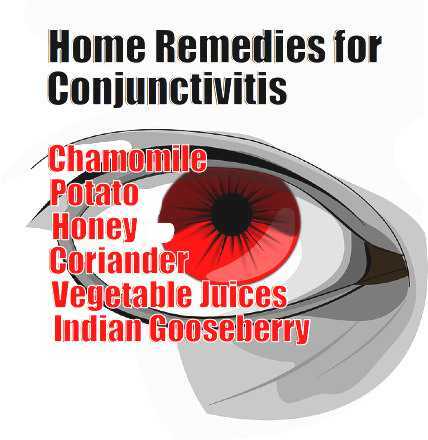 The home remedies for conjunctivitis vary according to the way a person has contracted pink eye. If the cause is bacteria then it is advisable to use antibiotics. The bacterial conjunctivitis can also be tackled with tablets, drops or eye ointments. For a viral conjunctivitis, the only thing you can do is treat the symptoms and just wait for it to naturally run its course. Even though viral conjunctivitis goes in a few days, in some cases doctors do give certain prescription medications. Cold or Warm Compresses: Cold compress works better for an allergic conjunctivitis while a warm compress will work better if the pink eye is caused by an infection. Hence, you need to know how he or she got the pink eye and then use warm or cold compress accordingly. In addition, you need to make sure to use clean compresses. The germs will only worsen the situation. Hygiene: Make sure to keep his or her eye clean and not wear any lenses. When you are cleaning your eyes, you should make sure to wipe from the inside towards the outside. You should dispose of the tissues or towels with which you has wiped your eyes with quickly and then wash your hands quickly. This has to be done so that pink eye does not spread to other people, both adults and children are susceptible. Hygiene is of the utmost importance in this case and tops the list when it comes to pink eye remedies. People need to maintain very high hygiene standards. This is simply because pink eye is contagious and spreads very quickly. In fact, if one looks in a persons eye who is suffering from pink eye then he or she will quite likely also get pink eye in a day or two. Hence, hygiene is of the utmost importance. Vegetable Juices– Raw juices of certain vegetables are used as natural home remedies to treat itchy eye or pink eye. The vegetable juices of carrot and spinach have been found effective in conjunctivitis. The combined juice of these two vegetables has proved more effective. The combined juice is prepared by mixing 200ml of spinach juice with 300ml of carrot juice. A cup of this combined juice should be taken orally twice daily till the infection subsides. Indian Gooseberry– The juice of Indian Gooseberry mixed with honey helps to cure the conjunctivitis. In one cup of Indian Gooseberry juice, two teaspoons of honey should be added and taken twice daily to treat pink eye. Chamomile: The strain of dried chamomile flowers works as an excellent eyewash in conjunctivitis. One teaspoon of dried chamomile flowers is added to one cup of pre-boiled water, left for about ten minutes and then strained. The strain is allowed cool and used as an eyewash. The strain can also be made into an eye compress. You can place cool chamomile tea bags on each closed eye for a few minutes (ten generally) and this process has to be repeated every couple of hours. If you do not find chamomile tea bags, you can also use a muslin tea bag or chamomile flowers. Tea: You can pour tea in an eye-cup (can be available at most medical stores) and hold the cup to each eye. Elderberry blossom tea can also be used for washing the eyes in conjunctivitis. You can also wash his or her eyes with the tea or make a compress with a cloth. This helps in reducing irritation a great deal and is considered a very good remedy. However, you can also soak a cotton ball in the tea and wipe eyes often in order to keep it clean of the bacteria, dirt or any virus. Potato– Since the potato is an astringent, it helps to minimize the inflammation. The potato is peeled and made into thin slices, and slices are placed on the affected eye. For better results, potato slices are applied to the affected eye for minimum three consecutive nights. And also, placing a potato poultice on the affected eye for about twenty minutes helps reduce the inflammation. Coriander– In 60ml of water, a handful of dried coriander is put and boiled to prepare a decoction. This decoction is very effective as an eyewash for infectious conjunctivitis conditions. It reduces eye discharge, burning, swelling and pain. Honey– Honey has anti-bacterial and anti-microbial properties, hence it is a potent home remedy and can be used directly on the infected eye. Putting a drop or two directly on affected eye cures the pink eye caused by micro-organisms such as viruses and bacteria. And, it also soothes eye inflammation, reduces itchy eyes and promotes healing. Honey can also be used as an eyewash, in two cups of boiling water three teaspoons of honey is added and stirred. Then, it is allowed cool and used as an eyewash. Eyebright: This herb should be mixed in a cup of hot water and should let it cool. Then one should put the tea in an eye-cup and follow the procedure given for the tea remedy above. You can wash the eye using a single cup of boiled and then cooled water. After this, you should add five drops of Eyebright tincture and then use a cotton ball. CLICK THE BOTTLE BELOW to learn about Conjunct–a–Clear! All these home remedies are simple. In fact, if you may observe all these remedies use very similar ingredients and methods of preparation and application. 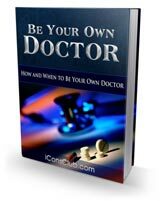 The only difference is the major ingredient which is used and that varies in all of these remedies. Of course, the job is not over even after pink eye is cured. You should make sure not go out for a few days and stay indoors. If these remedies do not work (this will be rare), people should consult a doctor and keep antibiotics just in case. Pink eye may not be very harmful but it is painful and irritating. Apart from that, it is also very contagious. You as an adult must make sure not to be around the kids as they are more vulnerable than the adults are. For immediate relief from the pink eye symptoms, one can use cold water fomentation. To subside the infection completely, the fomentation should be done for an hour daily at night for one week. The cold water fomentation heals the damaged eye tissues quickly and provides relief from redness of eyes, itchy eyes, pain in the eyes and swelling. Be careful to avoid dust, dirt and used towels or pillow covers around them during pink eye or conjunctivitis. Avoid going to swimming pools or any public place where sharing of anything is needed. Even if you want to swim, you should make sure to use swimming goggles and keep them on at all times. You need to consult their eye doctor at all times to know the precautions you should take and till what time. Of course, you can also consider the fact that more than 50% of pink eye cases are cured without any remedy within three to five days. However, prevention is better than cure and it’s quite safe to take home remedies for treating pink eye and conjunctivitis. Watch this video for a few more home treatments used to cure pink eye and conjunctivitis. Join our weekly newsletter and get ebooks delivered to your inbox weekly for free! 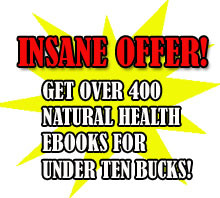 Buy my ebook; The Big Book of Home Remedies, and get free access into the members area where you can download 410 natural health PDFs. Conjunctivitis or pink eye is common problem today and it can happen for a number of reasons. These remedies are for everyone who want to get rid of pink eye. These remedies work wonderfully for this problem. Thanks for sharing informative post.